The book of familiars, companions, guides, divine spirits, totems, special mounts and heroic weapons. Offering a fresh approach to an age-old gamer’s adage, Mystical Companions expands the concept of the familiar beyond the established wizard’s pet. Herein each class is presented with its own unique path toward gaining a familiar and what form that familiar might take. 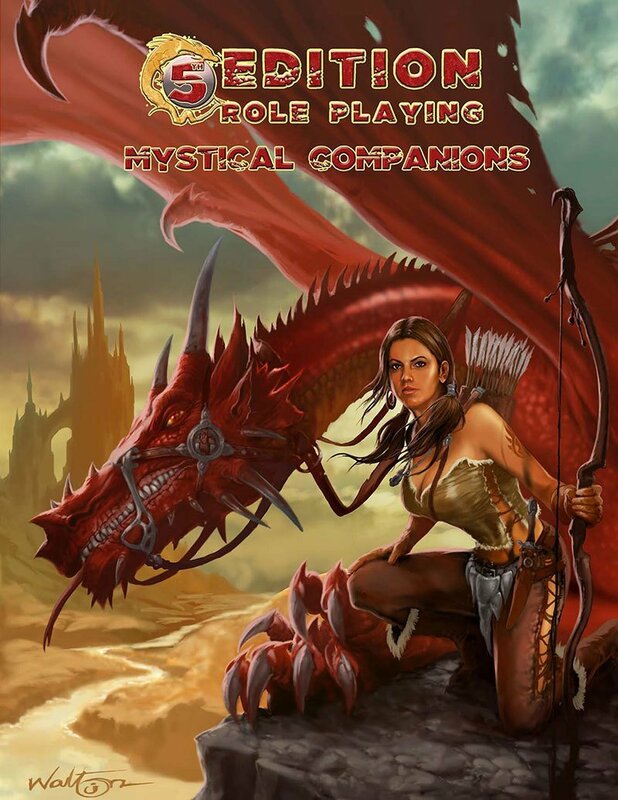 From the hero’s weapon, the bard’s muse and the rogue’s own haunting shadow, Mystical Companions offers a whole new venue for players to expand their existing games and add unheard of dimensions to any class. This book turns the concept of familiars on its ear and ushers in a whole new dimension of game play. Mystical Companions includes a complete index of familiars and monstrous companions as well a new approach to dragon subdual and how to become a Dragon Rider!